Martin Luther King, Jr. (January 15, 1929 – April 4, 1968) was an American pastor, activist, humanitarian, and leader in the African-American Civil Rights Movement. 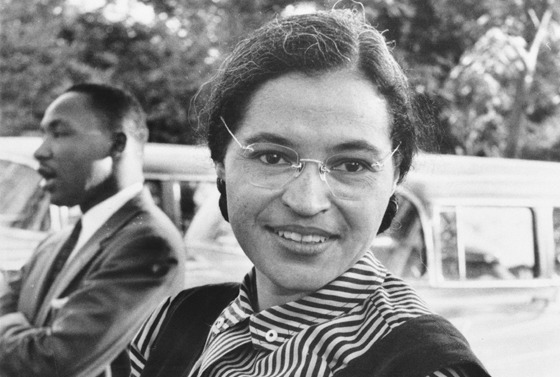 He is best known for improving civil rights by using nonviolent civil disobedience, based on his Christian beliefs. Because he was both a Ph.D. and a pastor, King is sometimes called The Reverend Doctor Martin Luther King Jr. (abbreviated the Rev. Dr. King), or just Dr. King. He is also known by his initials, MLK. King worked hard to make people understand that not only blacks but that all races should always be treated equally to white people. He gave speeches to encourage African Americans to protest without using violence. 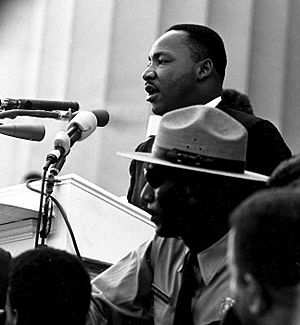 Led by Dr. King and others, many African Americans used nonviolent, peaceful strategies to fight for their civil rights. These strategies included sit-ins, boycotts, and protest marches. Often they were attacked by white police officers or people who did not want African Americans to have more rights. However, no matter how badly they were attacked, Dr. King and his followers never fought back. 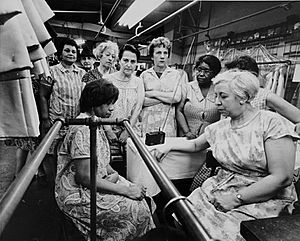 As King was growing up, everything in Georgia was segregated. 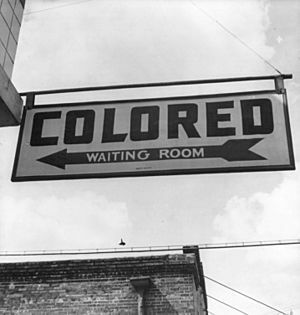 This meant that black and white people were not allowed to go to the same schools, use the same public bathrooms, eat at the same restaurants, or even go to the same hospitals. Everything was separate. However, the white hospitals, schools, and other places were usually much better than the places where black people were allowed to go. 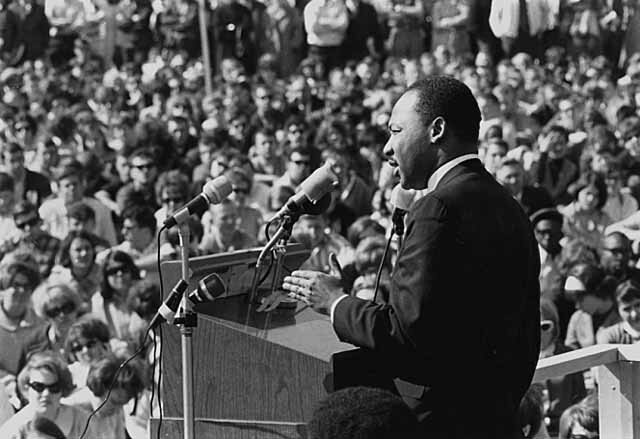 In 1963, King helped plan the March on Washington for Jobs and Freedom. This was the largest protest for human rights in United States history. On August 28, 1963, about 250,000 people marched from the Washington Monument to the Lincoln Memorial. Then they listed to civil rights leaders speak. King was the last speaker. His speech, called "I Have a Dream," became one of history's most famous civil rights speeches. King talked about his dream that one day, white and black people would be equal. 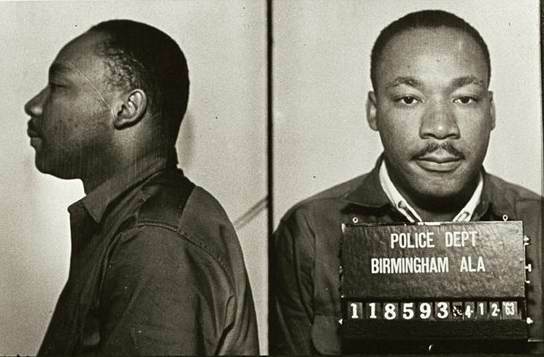 [King] is the first person in the Western world to have shown us that a struggle can be waged without violence. He is the first to make the message of brotherly love a reality in the course of his struggle, and he has brought this message to all men, to all nations and races. 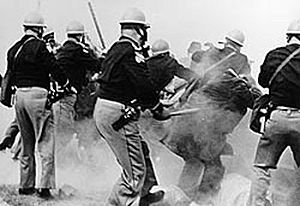 In 1963 and 1964, civil rights groups in Selma, Alabama had been trying to sign African-American people up to vote, but they had not been able to. 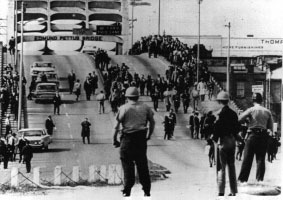 At the time, 99% of the people signed up to vote in Selma were white. However, the government workers who signed up voters were all white. They refused to sign up African-Americans. In January 1965, these civil rights groups asked King and the SCLC to help them. Together, they started working on voting rights. However, the next month, an African-American man named Jimmie Lee Jackson was shot by a police officer during a peaceful march. Jackson died. Many African-American people were very angry. 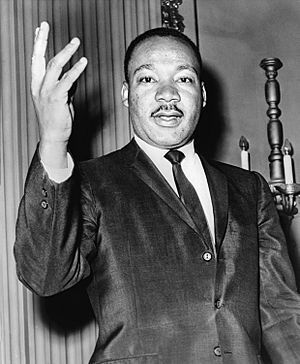 Main page: Assassination of Martin Luther King, Jr.
On April 4, 1968, King was in Memphis, Tennessee. He planned to lead a protest march to support garbage workers who were on strike. 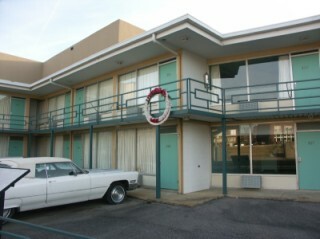 At 6:01 pm, King was shot while he was standing on the balcony of his motel room. King was rushed to St. Joseph's Hospital. His heart had stopped. However, they were unable to save King's life. He died at 7:05 p.m.
... I want you to be able to say that day that I did try to feed the hungry... to clothe those who were naked... to visit those who were in prison. And I want you to say that I tried to love and serve humanity. King County in the state of Washington, where Seattle is located in, is named after King. Originally, the county was named after William R. King, an American politician who owned slaves. 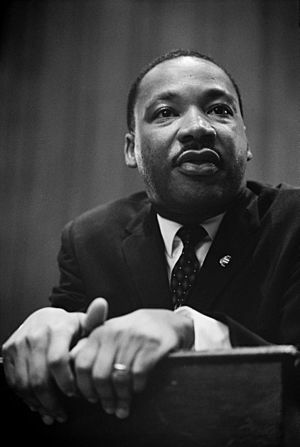 In 2005, the King County government decided the county would now be named after Martin Luther King, Jr. Two years later, they changed their official logo to include a picture of King. More than 900 streets in the United States have also been named after King. These streets exist in 40 different states; Washington, D.C.; and Puerto Rico. A shantytown was established in Washington, D. C. to protest economic conditions as a part of the Poor People's Campaign. Martin Luther King, Jr. Facts for Kids. Kiddle Encyclopedia.